The inevitable happened. My Junebug turned a year old last Sunday. 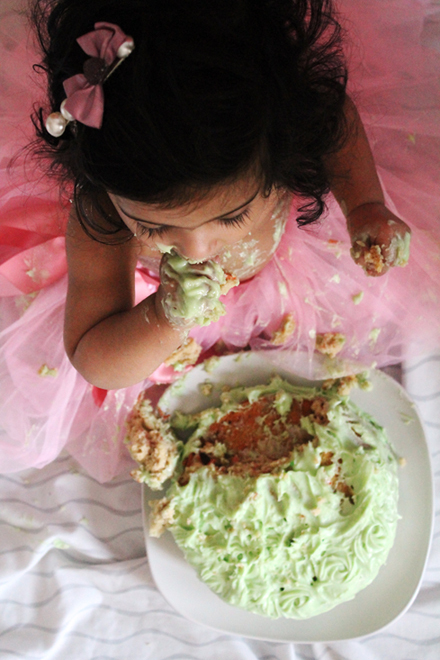 Although I had been preparing for her birthday for four long months, the enormity of it hit me only while I was getting her ready for the cake smash photoshoot. A whole year zipped past me as I was learning new things about my baby and trying to be a satisfactory mother. Although I have guilt tripped several times over the year, I am glad I got plenty of chances to slow down, take long- deep glances at her and enjoy the little girl who is the best thing to have ever happened to Kishore and me. 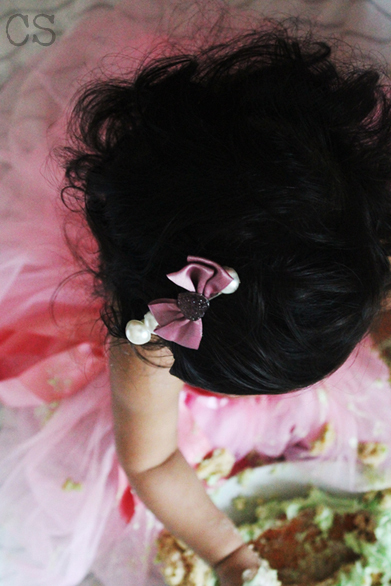 So her birthday was not only a celebration of the first year Aarabhi spent in this world, but also of us as a family who made it through sleepless nights, mammoth bawling sessions, never-ending growth spurts and the zillion vaccination days that we are never going to shake off any time soon. Even though I had my sights set on the actual party that was scheduled to happen the day before her birthday, I was also looking forward to the cake smash. It was a new concept to me and I instantly fell in love with the idea of letting Aarabhi run wild around a specially baked cake. 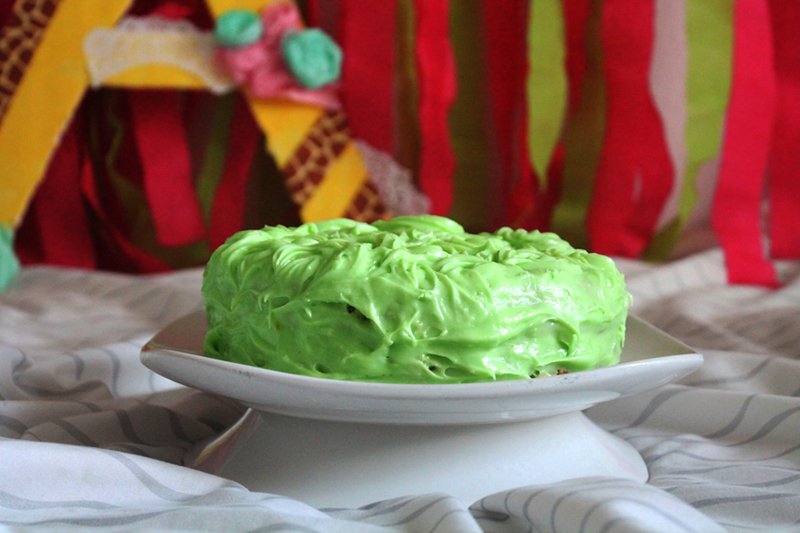 I poured over Pinterest, considered different cake recipes, selected the color combinations for the backdrop, her clothes and a sea of other things I never realized I would have to think about! We spent slightly less than $15 on the shoot. 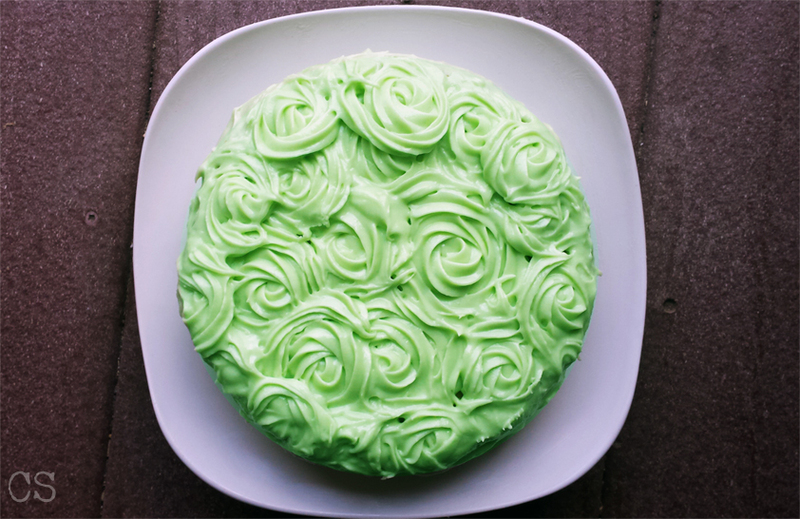 Follow a super simple cake recipe like this one I used from Cooking Light. It is clean, not complicated and agrees with a baby’s tummy and palate. Keep the background colorful yet easy to make. Your baby is your shining star. A couple of simple ribbons draped across the backdrop in subtle colors or a few balloons flying about will do the trick too. You may be tempted to click a million pictures. Resist the urge. I did 200 and regretted it since I was confused about which ones to pick. Have fun. Babies, as always, can sense your moods. If you are tensed and bark orders to the person helping you, your child will get cranky and we don’t want that! Finally, set your shoot for a week before the party. You don’t want a hectic couple of days, do you? We fly to Madras next week and I am super excited about showing little Miss B my city. Apart from that, I am hoping to cook for the family and eat a lot too. In case I don’t post anything before that, see y’all from India! Categories: Aarabhi, Cakes and Desserts, Cakes and Desserts, Chennai, Dessert, Food, Pastry, Photography Styling Challenge, Summer | Tags: Aarabhi, background, birthday, cake smash, carrot cake, diy, First birthday, Homemade, photo shoot, Pink and green, pinterest | Permalink. This is it. 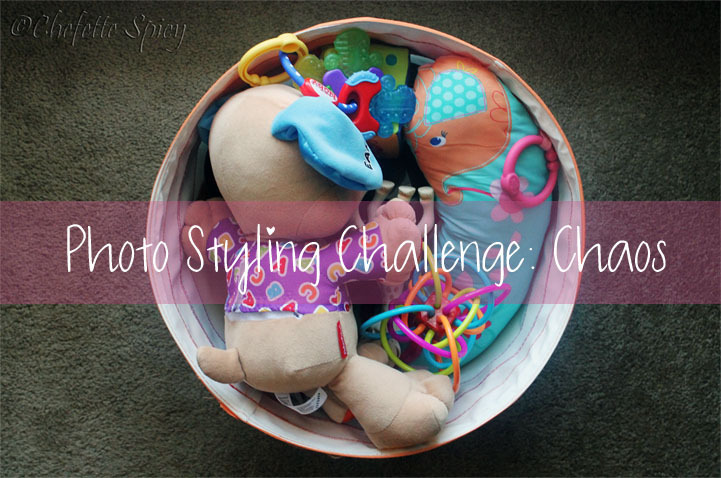 The last installment of this edition of the Photography Styling Challenge and it got a-personal! I remember the first challenge I was a part of. The concept was Morning and I was this super-sad photographer who was oblivious to the wonders my DSLR was capable of. All that changed on that Sunday in October as I messed around with my camera, trying to get decent pictures of the breakfast I made. Needless to say, I have come a long way since then. Unfortunately, last month was a complete failure. My camera kind of had some problems and I lost the images I had shot for the challenge. The topic was Living Room and I spent quite a lot of the precious time I had set aside for studying, styling my ever cluttered living room. Although I got my camera and the memory card set right, the due date was long gone and I had zero inclination to style the room again. Oh well, I guess it is better to look ahead. 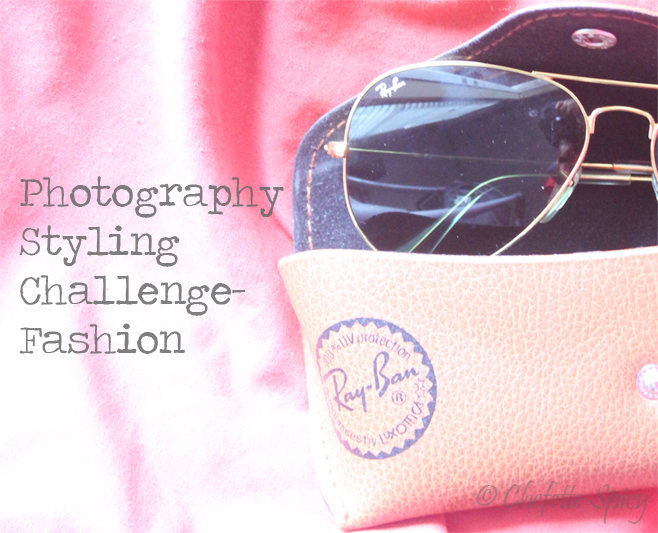 So this month, we draw this challenge to a close by styling and shooting something personal. I had to really rack my brain for a suitable subject. What could be personal to me in a 1050 sq. ft. house that we share with a baby who likes to clutter all the time? I mean, I don’t have a special place to sit and read/study, I don’t exactly have a book shelf and the only place we hardly use, there by has the potential to become my personal space, is the guest bedroom which is now full of furniture we don’t use any more. As I was working myself into depression over the lack of personal space, I spotted something that I knew would be the perfect subject for this month’s theme. This foam A is something I have been working on for the past couple of weeks. 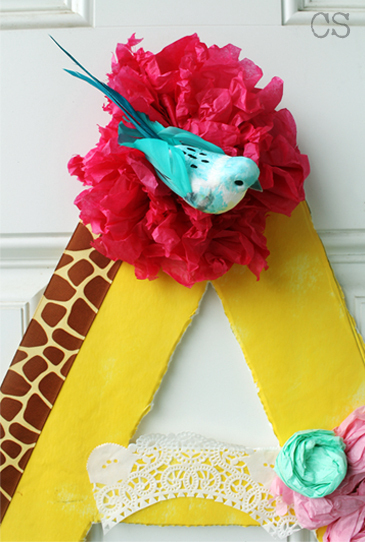 It is going to serve as the centerpiece for Aarabhi’s first birthday decoration. 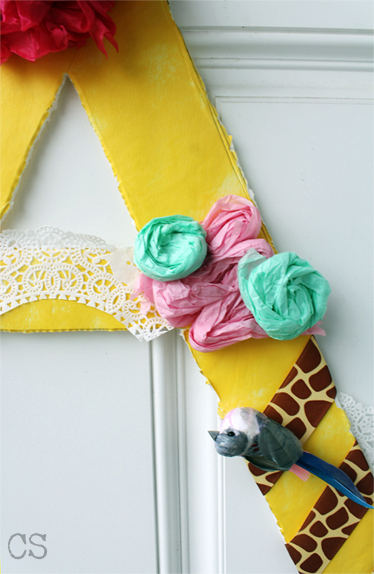 My idea is to make it eclectic, hence I am on the hunt for colorful scraps that could fill the letter up without making it look shabby. Initially, I was not ready to share it yet. It was intended to be a big reveal for the birthday. But then while dealing with a sensitive topic like Personal, it is always good to step slightly out of the comfort zone and this certainly fits the bill. Since I have not finished the project yet, I am really not giving everything away in one post. Notice the ragged edges and the empty yellow spaces? They will change soon. I hope we do this again really soon! Categories: Personal, Photography, Photography Styling Challenge | Tags: A, Aarabhi, birthday, colorful, deco, decoration, diy, last challenge, letter, personal, photography styling challenge, scrap | Permalink. What a disastrous month this has been! Apart from studying, driving baby A to daycare and cooking (badly at that) for basic survival, I have been up to absolutely nothing! Throw in a couple of weeks of being totally sick (yes, all of us!) and I was ready to call it quits and run back crying to Amma. Thankfully, that has passed but unfortunately, I had to give up that one thing which has been bringing me respite since I joined this challenge back in October: messing about with my camera. Hence, I was so unprepared for this month’s challenge. In fact, I realized that the first Monday was already upon me only when I saw a couple of posts on our (very secret) Facebook page. Since it was already too late, I had to rummage around on my memory card and find interesting concepts that I had already photographed since the beginning of the challenge. Thankfully, I did not disappoint me as much as I though I would. I had apparently practiced a couple of times for this concept because I knew it was going to be a difficult albeit super interesting subject to click. I know, this picture could have been so much more but I was in a hurry to get going, something that happens when you have a bawling baby waiting for dinner. 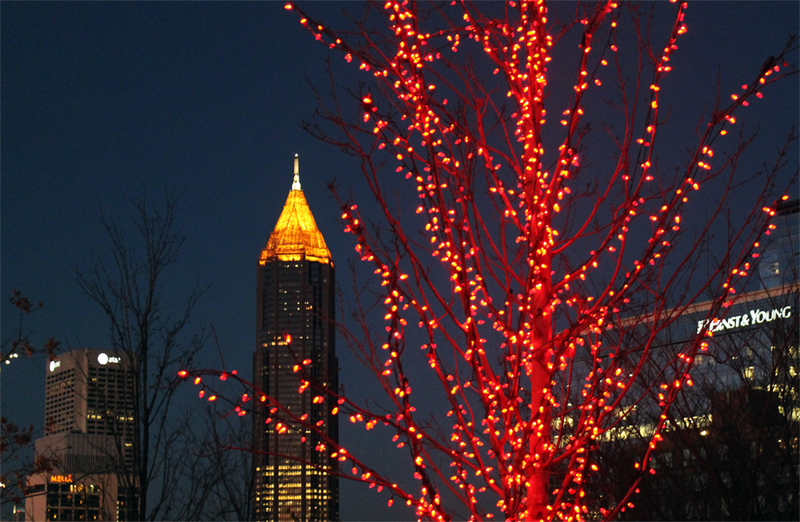 It was after Thanksgiving, on a long-awaited visit to the World of Coca Cola in Atlanta. 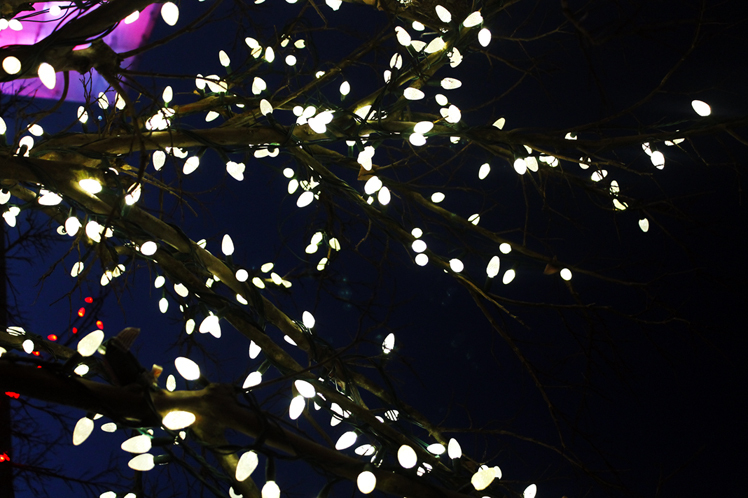 We were just coming back home when this festively lit tree caught my attention. I had to click a picture, I mean, how can I not?! Again, so much more. But I loved the pretty lights. I wanted to get that out-of-focus effect but decided to make it straightforward. I had to pick between two other pictures but was completely confused. So I decided to go with the prettier, more whimsical concept to bring it home and call this challenge done. This was one of my Instagram pics a couple of weeks ago. Although I clicked it on my DSLR, I decided to stow it away for this specific challenge. 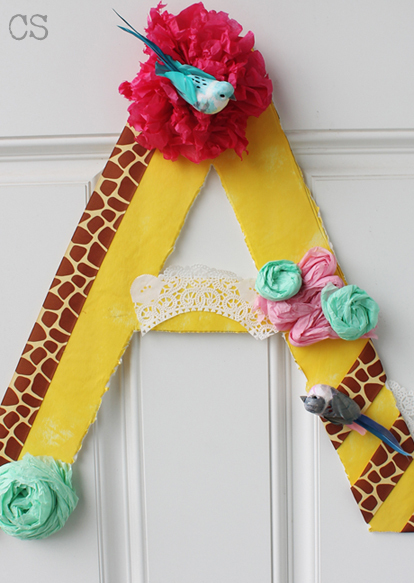 I am in the process of planning baby A’s first birthday. Now wait a minute. I know you are probably going “ALREADY? !” The thing is I like being ahead on planning huge events (sentiment-wise, not size-wise). And if the past month was any reflection on how life is going to be for the next couple of years, it only makes sense to plan waaay ahead of time because when time flies, WHAM! It hits you in the face. 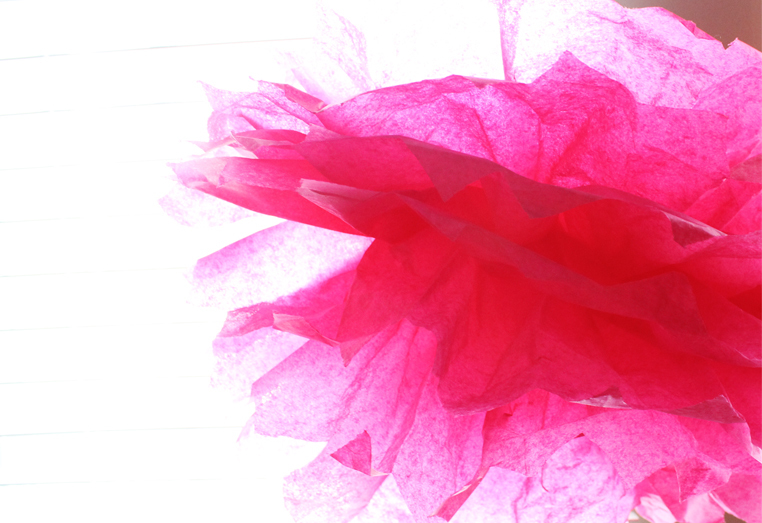 So I was playing around with gift tissue papers and decided to figure out how to make those poms. After a couple of tutorials, I made a pretty but slightly frazzled pom and thought it would be a beauty to click pics of. I was right and wrong. Categories: City lights, Light, Photography Styling Challenge | Tags: Atlanta, birthday, coke, light, plan, pom, time, visit | Permalink. I thought I was setting myself up for failure with this month’s styling challenge topic, Fashion. Although I am not all the way up there with couture and all the trend there is to keep up with, I can claim one thing with a clear conscience- I am not all that oblivious either. But styling for a full post that is going to revolve around that seven-lettered word intimidated me. I am not lying when I say that I started mulling over this concept since the February edition of PSC went up. The first thing I decided on was my muse. Now, I know. A muse should come to you, you don’t get to make that choice. But mine is a very awkward, very shy model and I had to coax, threaten (which bordered on abuse) and bribe him with Thai Red Curry to agree. So after blackmailing him for a few days, the hub-man finally gave in. There was only one problem- he couldn’t care less about fashion. He is oblivious to trends (why shouldn’t he be?) and if it wasn’t for me, his wardrobe would be full of clothes that fall under one of the four color categories- black, white, grey and blue. Although he does end up looking good in what he wears most of the times, I am a color person. We had a couple of beautiful days last weekend, thank you, Alabama. So we made the most of the Saturday by going to the park. Apart from getting wonderful shots of Little Miss Bee, I managed to get satisfactory shots of my muse flaunting his shades. I admit that this shoot bordered on minimalism- no extra props and all that- but it came out better than we feared it would. 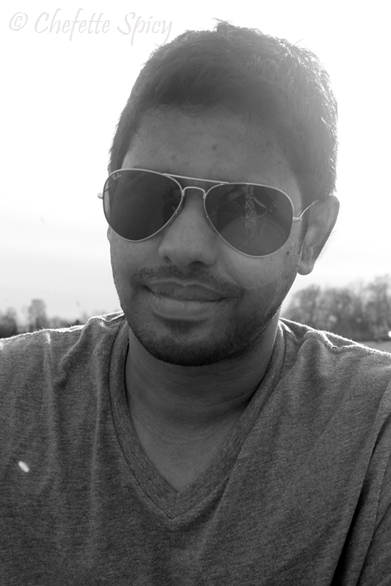 I had to catch Kishore unawares a couple of times but I ended up with good pics. Ps: my hovering image probably killed the first picture. I must learn to fade out of my pictures while shooting shiny stuff. 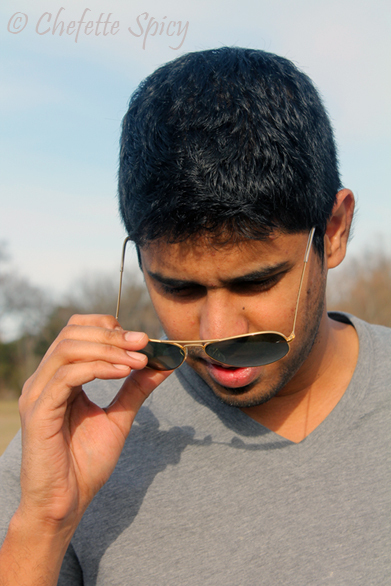 Categories: Family, Fashion, Fashion, Marriage, Photography Styling Challenge | Tags: alabama, challenge, fashion, glasses, husband, kishore, minimalism, model, muse, park, photo, photography styling challenge, props, ray ban, shades, spring, styling, weather | Permalink. Long long ago, in my second year of undergrad, we had photography exercises that spanned over a multiple everyday concepts. This was my syllabus’ way of creating “well-rounded” photographers and our professor would spend an awfully long time picking and selecting record book-worthy photos from the sea of rolls we would go through every week. Needless to say, I would dread this process since photography, I decided, was not my cuppa. I was more the graphic designing kinda girl and I made sure the whole world knew this. Thankfully, things have changed. I have fallen hopelessly in love with photography and my humble but very beautiful camera. Every time I begin my journey for the monthly photography challenge, I always think back to that dreadful photography phase and kind of regret it. 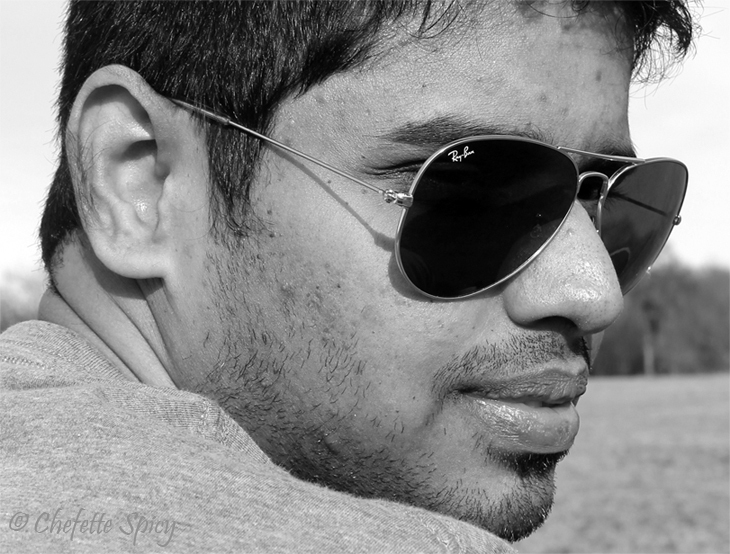 My father was a wonderful photographer. Every frame he clicked would come alive in the sepia-toned postcard-sizes. Yet, he never had a formal portfolio, did not give professional photography a thought and his models all lived under the same roof- his. Being one of his primary muses, I have always felt honored (and secretly superior) to have had his beautiful vintage Pentax (an inheritance from his father, another amateur photographer) focused on me- a concept I am trying on my little girl, in an attempt to capture every little bit of this beautiful life we are living together. So yes, this month’s photography challenge brought to me a sea of memories, some of them difficult and most of them very happy ones. Patterns: what does it bring to my mind? Life, that is what. But how does one go about photographing life? More specifically, how does one bring life to a subject like pattern? It was difficult so I decided to go with a couple of obvious subjects to focus on. 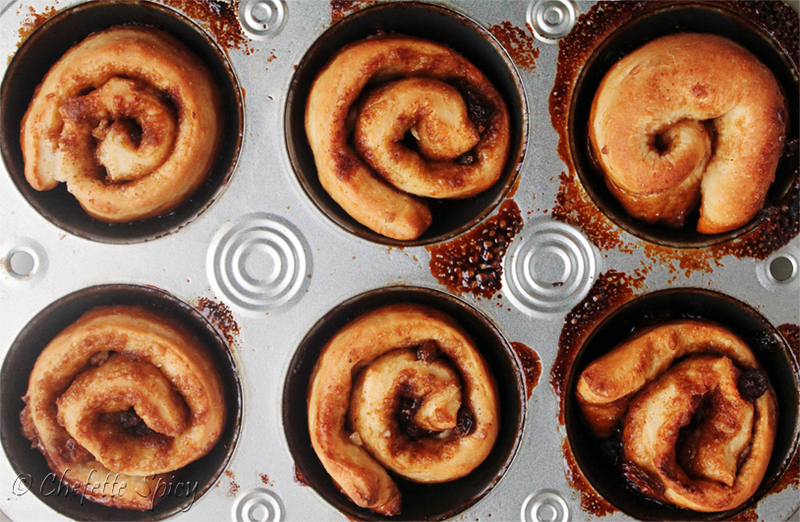 The first one is a picture of sticky buns I made a couple of months ago. I specifically clicked this picture with this exercise in mind. This is me being prepared like the little Girl Scout I was back in the day. Food can make pretty patterns, you see. But you’ve gotta look out for them. The next thing that comes to my mind at the mention of patterns is knitting. 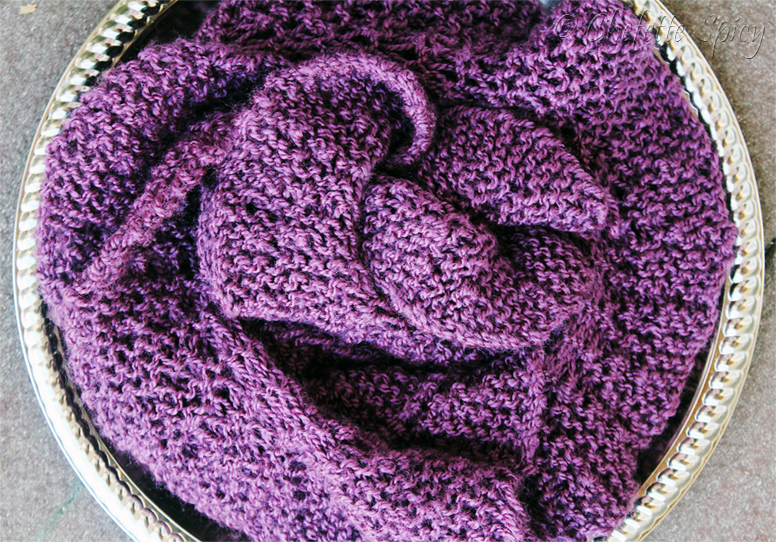 My sister is a very enthusiastic knitter and she made this wonderful scallop patterned scarf for winter. It is the most beautiful piece I’ve ever owned and it makes me a proud sister whenever I wear it. You can read her blog here. Although I wanted to go about clicking madly, I hardly had any time to do it. My goal for the next challenge is come up with at least four different concepts. I am pretty sure I can manage that. I nearly forgot to tell you! I started another blog on a whim. Since it is still under development, I will tell you more about it later. 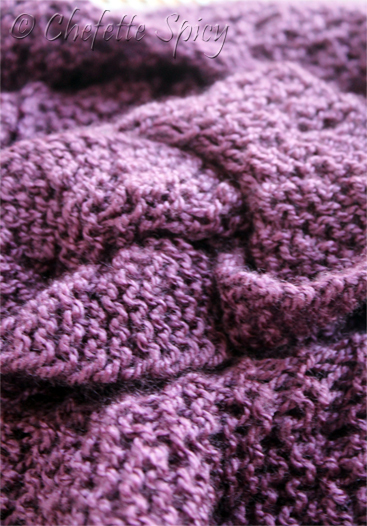 Categories: Patterns, Photography, Photography Styling Challenge | Tags: appa, college, exercise, food, home, jan, knitting, musing, patterns, photo styling challenge, photography styling challenge, scallop, scarf, SRM, sticky buns, thatha | Permalink. Time and fate work against me. This is the third time I am trying to post this. Apparently wordpress doesn’t understand what “save draft” means, although that is one of the options on offer. So let me do this before that smidgen of inclination towards writing fades away in me. Chaos was readily available at home… until we decided to clean up the mess since we were having guests over. After all the vacuuming (credits to the hub) and changing linen and stowing all of A’s toys away, I realized my folly. So I decided to make do with what chaos I could collect in the house… I am not all that impressed and you will see why. The challenge threw a curveball at me: I had to use some of the same elements I had used in the Order post. Easier said than done but I decided to get creative with this rule and you will find out how in a minute. My stack of books, my favorite companions, became Aarabhi’s favorite companions: her big basket of toys and dolls. She loves playing with almost all of them but her most favorite activity of all will always be pulling the whole basket and toppling its contents all over herself and the floor. This here is Sophie (aka Valli, named so in honor of her manufacturer, Vulli). Thanks to her, my fingers have been spared and they now function for what they were intended for, picking up her mess, rather than a live chewable toy. So there. How is that for a messy house? Categories: Family, Photography, Photography Styling Challenge, Weekend, writing | Tags: Aarabhi, chaos, family, home, kishore, photography, photography styling challenge, sophie | Permalink. Sneaky little December breezily slid in while I was not looking, bringing with it the deadline for this month’s photography styling challenge topic, Order. Ironically, my house is at its least orderly self, thanks to the huge load of baby stuff we bought/got as gifts in the past six months. This, topped with crazy Black Friday shopping for Christmas gifts, I feel like a bull in a China shop at the moment. Thankfully, the weekend was long and I had a couple of good ideas. Hence, I managed to photograph the handful of order we had around the house and call the challenge done. Next month’s topic is chaos. I am beside myself with excitement for this one. I probably have to wrap up the shoot by 19th of this month because we are off on a holiday after that and would return only by the 1st of January. And then it would be time for the madcap semester to begin (I will whine more about that later, I promise!). But now, here is to December and the much needed inspiration for order this photoshoot brought my way. 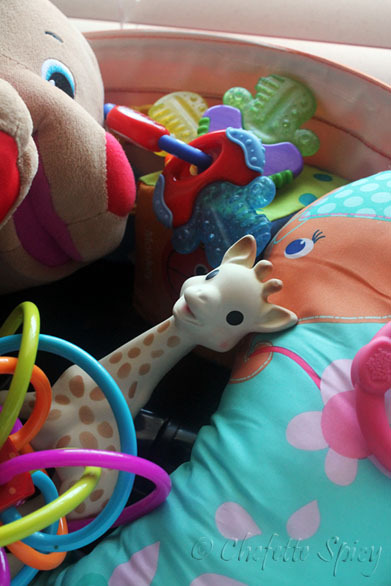 I had to take a pic of this before babygirl starts crawling and we pack them away. These are just a few trinkets, most of them gifts from friends and family. 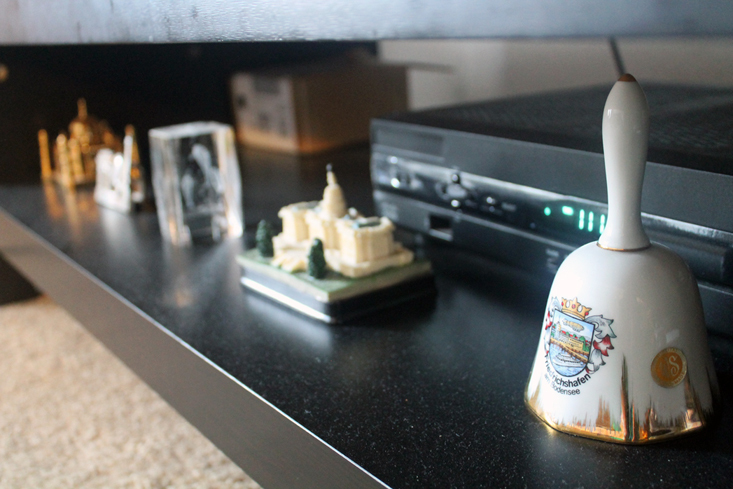 My absolute favorite has got to be this bell from Germany, a gift from my wonderful friend, N. Aarabhi already tries to grab this off the lowest shelf of the television table. I’ve always been known for being a reader and not a collector of books. I owned a Kindle for a few months, didn’t really dig e-books and gifted it to my sister. We’ve bought multiple Kindle devices on my account since, but none of them for me. I have a very small collection of books at the moment, no thanks to poorly stocked county library in the city I used to live before moving down south. I hardly found Indian authors or Magic-Realism books there so I have been skipping libraries since and buying a few every time I go to India from Landmark Bookstore in Madras. 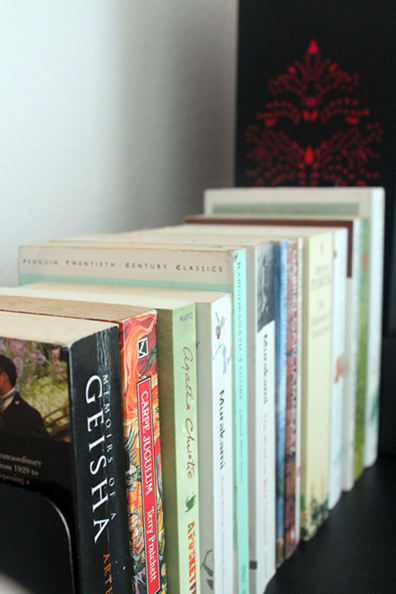 I have no place for bookshelves in my apartment at the moment so my books sit on the side table in the living room. I have also found them to be a good source of conversation when we have guests over. Ah, the divine altar at home. This shelf used to be such a mess until my mom-in-law decided to come to its rescue. Right now, it is in perfect order… as are the three other shelves below this. Zen, finally! This is the hub’s handiwork. 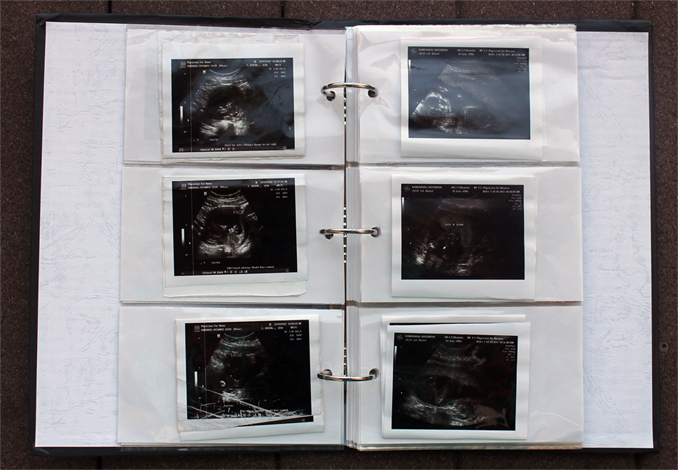 For the uninitiated, this is a collection of my pregnancy ultrasounds. Although our photographs (who prints them anymore, right? I do!) are in a mess in one of my drawers, the K man meticulously arranged these in order. We hardly look at them but it is good to know that they are around when we feel like taking a peek. Ah, chaos, come to mamma! Categories: Order, Photography Styling Challenge | Tags: Aarabhi, Books, christmas, divine, holiday, india, kishore, order, photography, photography styling challenge, scan, thanksgiving, trinkets | Permalink.